Whether you're a college student, a stay-at-home mom or a nine-to-fiver, chances are good that two things are true: You don't have a lot of spare time and you are often on the lookout for ways to make extra money. The good news is that you don't need a lot of extra time if you want to earn some extra cash; just a little bit of time here and there will suffice. In some cases, you might even be able to earn an income while you sleep! Check out this list of ways to make extra money in between your day job, full-time college, or taking care of your family. If you're busy from sun up until the time you lay your head on your pillow at night, you might think that a list of ways to make extra money in your spare time is not applicable to you. After all, between getting off to your full-time job, stopping by the grocery store on the way home, cooking dinner, putting the kids to bed, and getting some housework done, you have no spare time to speak of. The same thought might go through your mind if you're a busy college student or if you work two jobs. The good news is that you can make some extra money in literally minutes each day. If you can devote 10 or 15 minutes per day (maybe on your lunch hour or after cleaning up from dinner while the rest of the household is otherwise occupied), you can see your extra cash add up to a nice little egg by the end of the month. You've seen the ads: Spend a few minutes taking surveys each day and before you know it, you'll have made a full-time income. Let's be realistic: It doesn't work that way. You're not going to make bank doing surveys–but they can go on your list of ways to make extra money in your spare time. How does it work? You sign up with one or more of the many survey companies. They will send you links to surveys; many times, you'll need to answer a few questions first to see if you're qualified to take the actual survey. This is because they might be looking for a certain demographic (i.e. men between the ages of 30 and 50 who work in the insurance industry). Depending on the company, you'll get paid right away or on a certain date each month. 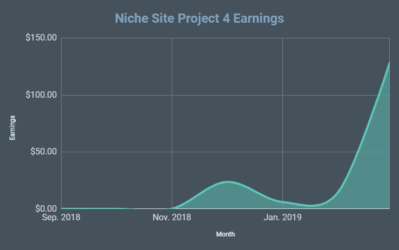 In general, survey payouts are between $0.50 and $5 per survey. Occasionally, you might qualify to take one that pays out $25 or more, but this is uncommon. Some surveys pay via gift cards to places like Amazon or other online retailers. And others will send you products that you'll be able to keep. Some companies to consider include Toluna, Springboard Panel, MyPoints, and Ipsos. If you spend a few minutes each day seeing what surveys are available and you qualify to take one or two per week, it might cover the cost of your Netflix subscription. Or maybe you'll be able to make nearly $250 in a month, like this survey junkie did. 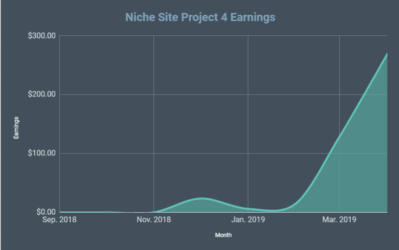 You're not going to get rich taking online surveys, but you can add a few dollars to your income each month with a very small time investment. Swagbucks is an app that allows you to earn extra cash and gift cards as you do things like watch videos, take short surveys, and surf the Web. The way it works is that you earn Swagbucks, which can be turned in for gift cards to places like Amazon, Target, and eBay. You can also choose to cash out via PayPal. Again, Swagbucks is not something that is going to allow you to get rich by watching a few five-minute videos each day, but over time, the rewards can add up. 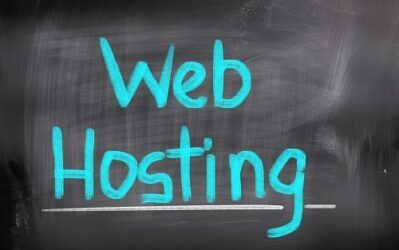 If you're going to be looking at websites anyway, you might as well earn a few bucks at the same time by signing up for this free service. If you're looking for ways to make extra money in just a few minutes per day, MTurk might be worth taking a look at. The program is called Amazon Mechanical Turk, or MTurk for short. The idea is that companies can hire people to complete tasks, called Human Intelligence Tasks (or HITs), that a computer can't do as effectively as a human. The types of tasks that you might do on MTurk are simple; they're just not done as well by a computer. 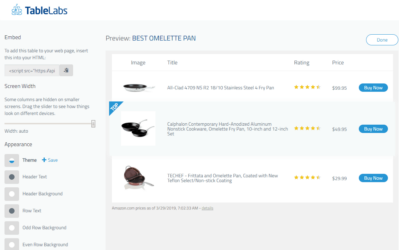 For example, you might tag certain objects in an image or choose the best image to represent a product. Since they're simple, they don't pay much per task; maybe you'll make 10 cents to describe what's in an image. If you can spend 30 minutes per day doing these tasks, however, you could potentially make $100 extra cash over the course of a month or so. 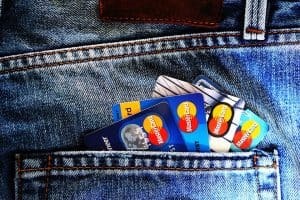 Do you shop with credit cards? If you do, you are probably familiar with credit card rewards. Many online retailers (as well as brick-and-mortar stores) offer a sign-up bonus for new cardholders. For example, you might be offered 15 percent off of your purchase for signing up for a card. Amazon sometimes offers $40 or more toward your purchase if you get approved for an Amazon credit card. Some hotel brands might offer you three nights accommodation if you charge $1,000 in the first 90 days after you receive your card. Using credit cards responsibly is the key for making this work for you. If you charge a purchase and then pay the minimum payment or, worse, miss a payment, the interest and any late fees will quickly eat up any rewards that you have earned! If you are generally responsible with credit cards, however, this can be a good way to earn extra cash without expending any extra time. Do you have an extra couple of hours each week where you can sit down and concentrate on getting something done to earn some cash? There are plenty of ways to make extra money in just an hour or two of dedicated time. Check out this list of ideas. 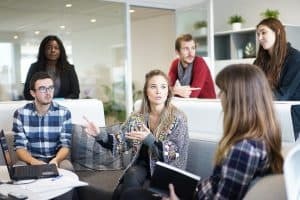 A focus group is a group of people who are asked by a company or organization to come together to discuss a product, a piece of music, a television show, a political campaign, or something of that nature. Sometimes, companies ask people with something in common to join the group. For example, they might pick random individuals who have all listened to a timeshare presentation in the past 30 days. Other times, people sign up to be considered for focus groups. A focus group typically meets for a couple of hours, and the compensation for a meeting might be cash or a gift card. You might make $50 to $100 or more per hour. Some sites you could sign up with to boost your odds of being chosen for a focus group are 20/20 Panel, Google User Experience, Focus Group, Plaza Research, and Consumer Opinion Services. Are you a master of social media? If you know your way around Facebook, Twitter, Instagram, Pinterest, YouTube, Reddit, and other popular social media and social blogging sites, you might be surprised to learn that local companies might be willing to pay you for your expertise. You'll need to know which type of people tend to use which social media sites; you'll also have to understand who your clients' target customers are. Then it's just a matter of using a site like Buffer to schedule posts on the appropriate platforms throughout the course of the week or month. Spend an hour or two going through and responding to comments on behalf of your customer, and you will have built yourself a social media marketing business. How can you find clients? Think about the businesses you patronize on a regular basis and look them up on social media. If they're not keeping up with their sites or they don't seem to know the nuances of hashtags or how to diversify their content, go in with a proposal. Once you have clients, you can offer incentives for referrals. For example, give your client a month's worth of social media posts for free if they refer someone who signs up for a six-month contract. For these types of gigs, word-of-mouth advertising can be your best friend. 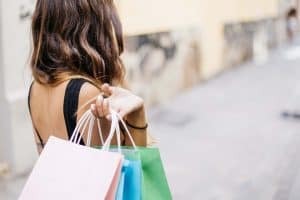 Mystery shopping, sometimes called secret shopping, is when an individual is hired to go into a store, restaurant, or another place of business to pose as a customer. The mystery shopper makes a purchase, taking note of the customer service received, the quality of the item or service, and other factors. They might need to do something specific, like check the cleanliness of the bathroom or make a return. Once the job is done, they get paid. If you like shopping, this might sound like a dream job. It doesn't pay a lot; expect to earn about $10 or $15 per shop. However, you will be reimbursed for your meal if it's a restaurant or the merchandise you were asked to purchase if it's a retail store. You might even get a free hotel stay! Volition.com is a good place to start if you want to become a mystery shopper. They have lists of reputable companies to sign up with. If you look at other companies, be sure to avoid those that send cold emails or that charge for a list of shopping tasks. Both of these are signs of a scam. Do you enjoy taking photographs? Even more importantly, are you good at it? If your idea of a nice weekend afternoon is to spend a few hours snapping photos of landscapes, people, pets, or anything else, you might be able to turn it into a money-making opportunity. Websites like Getty Images or Shutterstock list photos from freelance photographers on their sites. When individuals, marketing agencies, or small businesses want to use the photos on their websites or their brochures, they pay a fee. As the photographer, you get part of that fee. A photo that you take in January might be purchased for use in February, twice in April, twice in August, and four times in December. So over the course of the year, that one photo might be used nine times. Of course, you could sell the photo dozens (or even hundreds) of times or not at all. Putting up more photos will raise your odds of making extra cash. You can check out this primer on the companies worth submitting to, along with how much they pay and how likely you are to have your work accepted. Are you crafty? If you like to spend time on the weekends sewing, woodworking, painting, soapmaking, or creating just about anything, consider making a business out of it. You could craft all year and sell your wares at holiday bazaars. Or you could list them on a site like Etsy to make sales all year long. Think about choosing a niche. What can you specialize in that isn't already overrun on the market? What problem could you solve? Christmas ornaments, wreaths, or decorations. Wreaths for any time of the year (think flowers for spring and colorful foliage for fall). Quilts (to be used as blankets, tablecloths, placemats, or anything else). Crocheted items, such as scarves or dishcloths. Knitted items like hats, socks, or sweaters. Framed drawn pictures of people, places, or things. Decorated baskets or bins for home organization. Wooden items like napkin holders, trays, or wall plaques. Buy these already made and paint them to decorate, if you like. Flower arrangements using real or silk flowers. Items featuring a specific theme, such as things made from fabric with cows on it or purple items. Confetti Momma was started by Courtney Orillian, a woman who noticed the desires of others to have party supplies that rivaled those found on sites like Pinterest. She and her husband created an Etsy store to provide handmade party supplies to people who don't have the time, energy, or talent to create them themselves. Is there a need that you can meet with whatever crafts you enjoy doing? Think about how you could devote a couple of hours each week toward fleshing it out into a small business as one of the ways to make extra money. Sign up for an account on Fiverr.com and look through the listings to see what types of tasks people are offering up for five bucks. Can you do any of those? Many of the tasks listed could be done in 15 minutes or less, which would allow you to earn a cool $20 in the span of an hour. What types of jobs are featured on Fiverr? You can be creative, but some of the popular categories include digital marketing, graphics and design, and video and animation. You could give online lessons or do an astrology reading. You can even give tips on succeeding at your favorite video game. If someone will pay $5, you're golden! Come up with five ideas for blog posts. Don't actually write the blog posts for $5; just give the client a list of title or topic ideas. Write three to five social media posts. If you enjoy posting on Facebook, Twitter, or Instagram, you could probably knock this out in five minutes. Write a haiku, limerick, or some other verse for a greeting card. You could offer verses that would be good for a birthday card, a love letter, or a funny “thinking of you” card. Take a photo of you holding a sign next to a local landmark. This is particularly good if you live near a tourist attraction. Make a list of restaurants or attractions in your local area for people who are visiting your city or town. You could write up a comprehensive piece and just sell the same piece over and over again. If you have enough time to consider getting a part-time job, you might instead look for ways to make extra money without taking on another employer. Do keep in mind that getting a job where you make tips (such as delivering pizzas or waiting tables) can allow you to make a higher hourly wage than you'd get paid at other types of part-time jobs. Here are some other ways to make extra money while freelancing or otherwise being your own boss. Selling your labor on the weekends or after work is a great way to make extra money in your spare time. If you have lawn equipment or a toolbox, consider offering up these services. Depending on where you live, you might be able to charge $20 to $30 per hour or even more. Mow, trim, and blow lawns. Make sure you square up the edges and don't leave clippings in the driveway because those extra touches can boost your reputation. 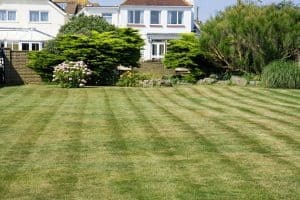 Pressure wash driveways or houses. Tighten doorknobs, replace loose flush handles on toilets, or change lightbulbs that require a ladder to reach them. Replace central air conditioning vents. Vacuum out dryer exhaust fans. Install shelving or put in a closet organizer that has been purchased in advance. Think of all of the things you have done in your own home that might be cumbersome or downright impossible for someone who has no tools or no experience. Market yourself on Facebook or Craigslist, or simply spread the word among your contacts. If you have a wide range of skills, you can probably rack up a nice little side business relatively quickly. You might do better than you think. Watch this video on Dave Ramsey's YouTube show about a Florida man who built up a $2 million net worth by mowing lawns. Even if you're not able to rack up enough business to turn your side gig into a full-time job, you can still make a pretty good income. Cleaning houses is another good way to earn money. Busy people will pay someone else to come in and spend time scrubbing bathrooms, mopping floors, washing walls, and knocking down cobwebs. If you don't mind cleaning your own home and would like to get paid to clean other people's, try to spread the word via your contacts. If you charge by the hour, you could be penalizing yourself for being a fast worker. If you're not a fast worker, your client might suspect that you are padding your time. If you charge by the project, you might sell yourself short… or you might end up doing better than you thought you would. Don't worry too much about the first few jobs; use them to gauge how long it takes you to complete a home. Then you'll be able to charge more effectively next time. Depending on where you are located and the income levels of the people you work for, you can probably charge from $25 to $100 per hour or up to a few hundred for a moderately large home. Uber and Lyft have taken over the ride-sharing industry. If you have a late-model car, you can cash in on these money-making opportunities. Basically, you sign up and make yourself available whenever you want to try to pick up people needing rides. Some estimates say that drivers make about $15 per hour if they're reasonably busy. You can boost your income by choosing to work on the weekends or during special events in your area. If you are willing to drive to the nearest airport, that's another good way to keep yourself busy during your “on” times. One good tip for minimizing your competition is to park a block or two away from special events, preferably close to bars and restaurants where people might head to after the event is over. Keep in mind that it's not just the base fare that will make you money with Uber and Lyft. You can earn tips, too. Some ways to increase your odds of getting a tip include keeping Android and iPhone chargers in the car, offering your clients bottled water, and opening the back doors for them. Do you have a garden? If you have a green thumb, putting in extra rows of zucchini, tomatoes, or corn could help you out come harvest time. 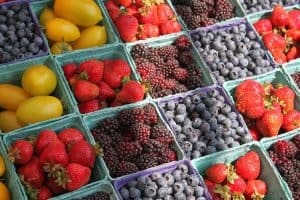 Purchase a spot at your local farmer's market and sell your produce; you'll be earning extra cash while helping others in your community eat fresh, local food. While you're at the market, you can give out advice on growing whatever it is that you're selling. This will position you as someone approachable in the area and you might be able to bring in more business via word-of-mouth. You'll already be at the market anyway, so it won't take up any extra time and you might be able to upsell your goods. You don't have to limit yourself to just produce at the market, either; if you make soap, dip candles, bake bread, raise bees for honey, or design jewelry, you might fit right in. Just find out ahead of time what types of vendors there are and whether you need a license in your area to sell edibles. 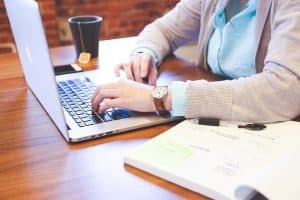 If you're looking for a work-at-home job, becoming a virtual assistant should be on your list of ways to earn extra money. You could do this just a few hours per week or you could turn it into a full-time job. A virtual assistant does what any other kind of assistant does, but they do it online. You might be the assistant to someone in California, Ohio, Bangkok, London, or just about anywhere else. Some of the tasks that virtual assistants take on include email management, arranging travel, graphic design, ghostwriting, editing, bookkeeping, data entry, social media management, and anything else you can think of that doesn't require your physical presence in your client's location. When you first start out, you will likely need to hustle and go out of your way to promote yourself. As time goes on, however, you can build up a steady client base. At that point, you could decide to take your gig full time. It's up to you! Virtual assistants can set their own hourly fees, so you'll need to experiment to see what works for you and for your clients. Starting off, be prepared to make $10 or $15 per hour; after you begin to learn the ropes and offer more services to your clients, you can find yourself charging $50 to $100 per hour or even more. Do you have pets of your own or do you love animals? If so, pet-sitting might be the perfect part-time gig for you. You can watch the animals at your own home or arrange to go to your clients' homes to feed, water, walk, and clean up after their furry family members while the rest of the household is traveling. Signing up with a site like Rover.com will allow potential clients to find you. To boost your chances of getting a job, add photos and if you've sat for pets before, ask their owners to leave a testimonial. Pet-sitters can charge per night for overnight accommodation or per visit if you're stopping by your clients' homes. Particularly if you have your own pets and you host four-legged visitors at your home, caring for other people's animals won't add much time or effort to your day, since you'll be feeding, watering, petting, and walking your own pets anyway! One of the best ways to earn extra money is to do it while you sleep. This is called passive income, but the term is a bit of a misnomer: While you can get to the point of pulling in a good income while you are out jogging, on a plane to Rome, or enjoying drinks with an old friend, you do have to put in a good bit of legwork first. Check out these ways to earn extra money by investing some time now that could result in a steady stream of income later. One of the ways to earn extra money that trickles in while you're off doing something else is to write an ebook. Even better, write a number of ebooks. The more you have published, the more passive income you can potentially earn. The way it works is that you will upload your finished book to a platform like Kindle Publishing or Apple iPublishing. You'll get a percentage of each sale (70 percent for Apple and 35 to 70 percent for Kindle, depending on the list price). In theory, you could write a book (or several books) and collect royalties on it each month. In reality, you'll probably need to spend some time marketing your ebook, at least until you have a lot of good reviews. Some marketing techniques are passive (like Facebook ads), while others require more work (like keeping up a blog). Check out these tips on ways to make extra money writing ebooks. Whether you own or rent your home, if you have an extra bedroom, you could monetize it. While it's not passive income in the traditional sense, you are paying for the space anyway, so you might as well make money on it by renting it out. There are a few ways you can do this. One is to simply rent the room on a monthly and include kitchen privileges. This creates little extra work for you: You do your thing, your tenant does their thing, and you collect the rent each month. Another is to list your room on a site like Airbnb. If you're just renting out the room, you will have visitors while you are home in most cases. Most hosts provide coffee and, in some cases, breakfast items. You'll need to provide towels, clean linens, and some other niceties. You'll also have a steady stream of different people staying in your home (if you're lucky). If you travel frequently or you have another place that you call home, you could rent out the entire house for weekends or a week at a time. This will add to your workload, as you'll need to arrange for the home to be cleaned and the linens changed after each guest leaves, but it will also add to your income. Renters will need to ask their landlords for permission to sublet part of the home, and if you own your home, you might need to check with your local zoning board to find out if it's permissible to list it with a site like Airbnb. Still, these are good ways to earn extra money fairly passively. If you have a nest egg set aside, you could use it to make extra money by investing in real estate. It's also possible to use a loan to invest in the real estate market, but it's riskier and harder to make a lot of money. Depending on how much money you have available, you might choose to focus on residential or commercial real estate investing. With residential investing, you can make money in a few different ways. One is by purchasing a property at a low price and either rehabbing the home or waiting for the market to go up, then flipping it. There are risks involved, of course: The market could crash or property values could otherwise go down while you're waiting, or you could find that the house requires much more work than you originally thought. Another is by becoming a landlord and renting out the property. You could do this with a single-family home, a multi-family home, or a larger complex, such as one with condominiums or apartments. You would need to collect rental payments and handle repairs. Or you could hire a property management company to handle these tasks. Commercial properties are another source of income. You might purchase a building and rent out space to business-owners. Or you might buy, for example, a restaurant or a hotel and collect payments from the business profits. 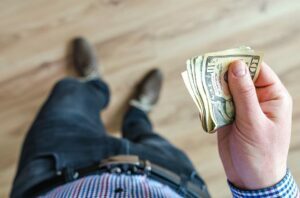 There are many ways to make extra money by investing in the real estate market, but it's not something you should do without the advice of a real estate attorney or another professional. There are people who film their daily lives and get paid to do it. How? They upload their material to YouTube and they get paid depending on how many times their videos are viewed. As traffic grows, advertisers are willing to pay more for their ads and the potential for income continues to grow. It's largely a matter of luck when it comes to who makes money on their YouTube channel and who doesn't. The content matters, but all sorts of channels can be lucrative. For example, some popular channels focus on video games, makeup tutorials, housecleaning, DIY projects, product reviews and dog training. Upload videos frequently. The more material you have up, the more views you're likely to get. As people watch one video and they like it, they might then go and look at your other material. Be professional. While quantity is important, quality is just as vital, if not more so. Learn how to use video editing software; don't just slap up whatever you record with your iPhone. People will lose interest and look for something more polished. Develop your brand. Make a logo and have a theme. Even if you are uploading vlogs of your everyday life, have some type of a focus. Consider starting a blog and social media accounts that go along with your channel. Now, you might be thinking, “this does not sound like passive income!” Right, having a YouTube channel is work. However, you'll be making royalties off of your older videos as you upload new ones, so the income you're making is actually passive. If you have a successful channel, you could end up bringing in a nice income, so it might be worth the investment. Another way to earn money by using videos is to create an online course. Think about what you're good at and what you can teach others. 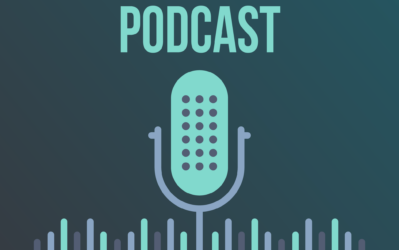 Make a video or audio course that lays out your topic step-by-step. Once the work is done, you can upload it on a site like Udemy. People will go to the site looking for courses to take and some might sign up for yours. While you sleep, play with your children, walk your dog, wash your dishes, or work at your day job, you could be raking in extra money as users take your class. How much can you make? Rob Cubbon says that he makes $5,000 of passive income per month with his online courses. Watch his slideshow about how he creates, markets, and makes money from his courses. You'll even see tips on how creating free courses can end up helping you make extra money. One of the ways to passively earn extra money that many people don't think about is to buy a laundromat. Now, you're going to need some capital to put down to buy the business in the first place. But once you get it up and running, you can make a pretty penny without being there. There are some hefty expenses that go along with buying a laundromat, so it's important that you know what you're getting into. In addition to repairs for expensive machinery, you're going to have high electric and water bills. You'll also want to hire attendants and maybe people to do the dry cleaning or to run a wash-and-fold service. 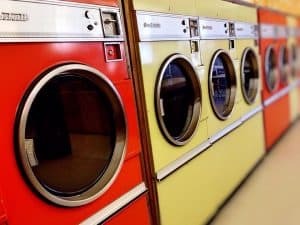 There's an article on Entrepreneur.com about ways to make extra money with a laundromat. Some of the tips include adding arcade games, giving away free coffee, and implementing swipe cards to discourage the use of coins and cash. When you go to get your tires replaced and you get hungry or thirsty, there's usually a handy vending machine in the waiting area. You might also see vending machines in hotels, apartment complexes, schools, and even in your office building. What you might not realize is that these machines are not owned and stocked by the owners of the companies. Instead, a vendor sets up the machine, maintains it, and keeps it full of good things to eat and drink. If you started a vending machine business, you'd be making an income while you're off doing other things. You'd just need to fill the machine every week (or whatever frequency is needed) and rake in the profits. Don't think you'd be limited to Fritos, Oreos, and Coca-Cola products, either. There are vending machines for just about everything. Some of the more unique vending machines carry the morning-after pill, medical marijuana, raw milk, mashed potatoes, hair extensions, and shoes. You can learn how to start a vending machine business by reading this guide on the topic. What are some ways to earn extra money that have worked for you? Share them in the comments below.